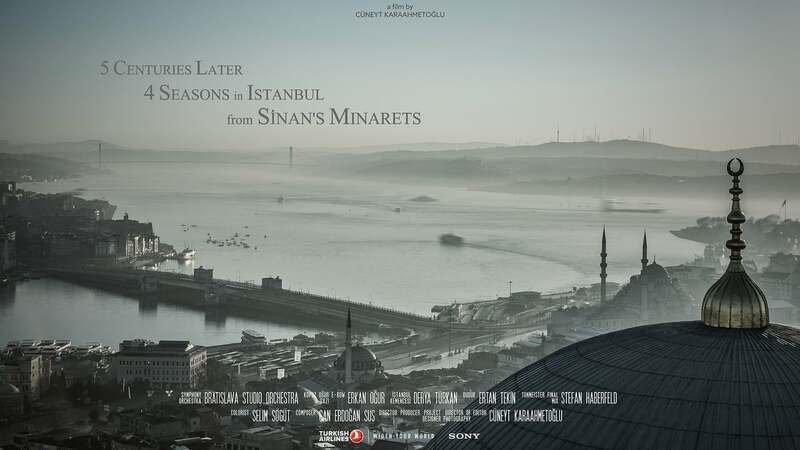 This project has been shot from 28 Minarets built by Mimar Sinan who is famous Ottoman Architect lived in 16th Century. Main sponsor of the project is Turkish Airlines, sub sponsor is Sony. All movie is filmed with Sony Products. Shooting has taken for 12 months. I shot 170.000 frames of İstanbul during project ( except F55 Footage ). Can Erdoğan – Sus composed 4 different music for each season and Bratislava Studio Orchestra performed. And local instruments played by Erkan Oğur ( Kopuz, Oğur, E-Bow ), Derya Türkan ( İstanbul Kemençesi ) , Ertan Tekin ( Duduk ). Colorist of the project is Selim Söğüt. For deflickring was used LrTimelapse.